"We celebrate our common humanity through the power of storytelling. I believe many of our films have contributed to that. 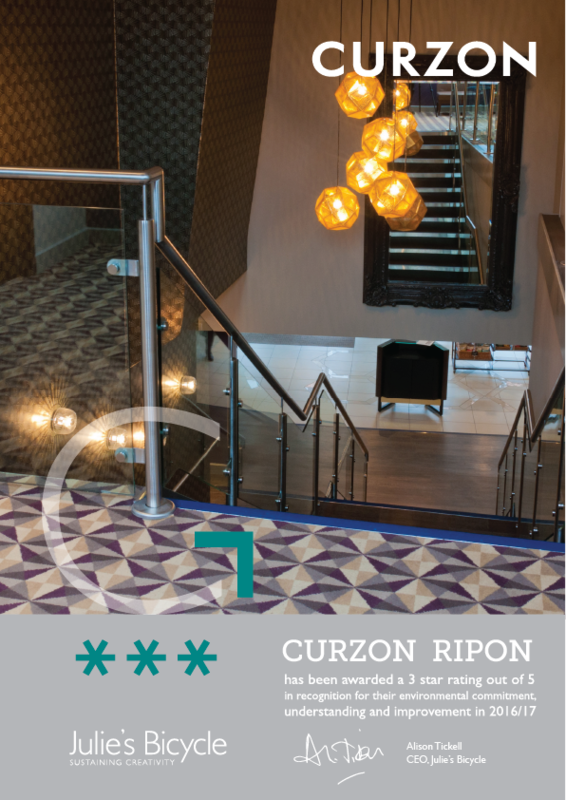 All of us at Curzon are concerned about the future." The power of film lies in bringing compelling and thought-provoking stories from diverse perspectives to the wider world. 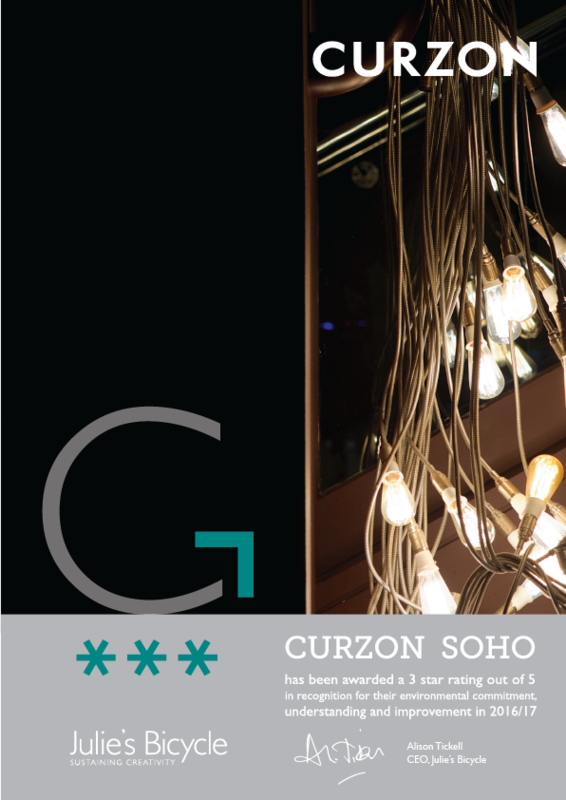 Curzon strives to bring you such films that will help stimulate the conversation for creating a shared, sustainable future. 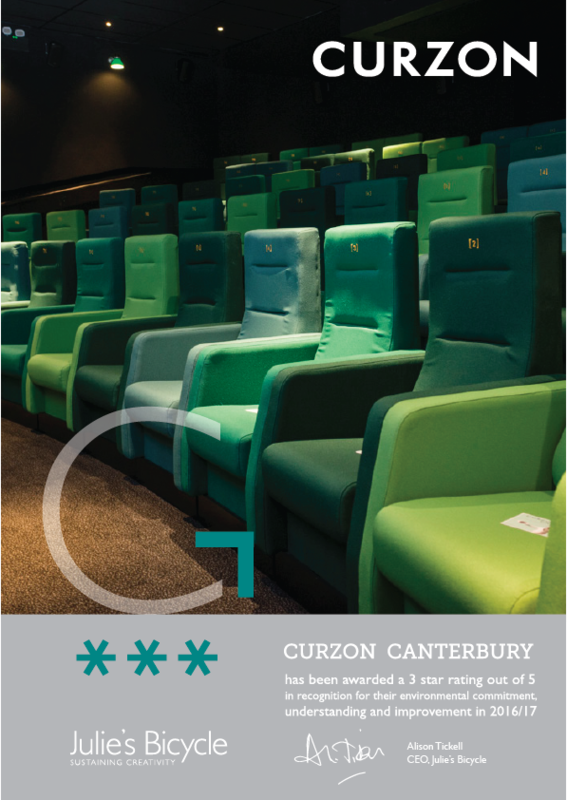 We are also taking important steps to reduce the impact our cinemas have on the environment. 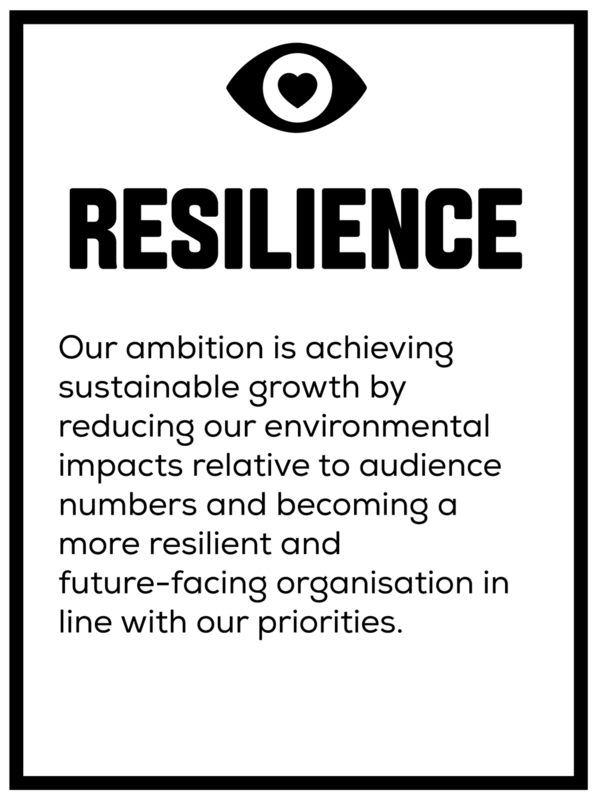 To assist us in our sustainability journey, we have partnered with Julie’s Bicycle, a charity dedicated to working with the creative community to develop inspirational and direct responses to climate change. 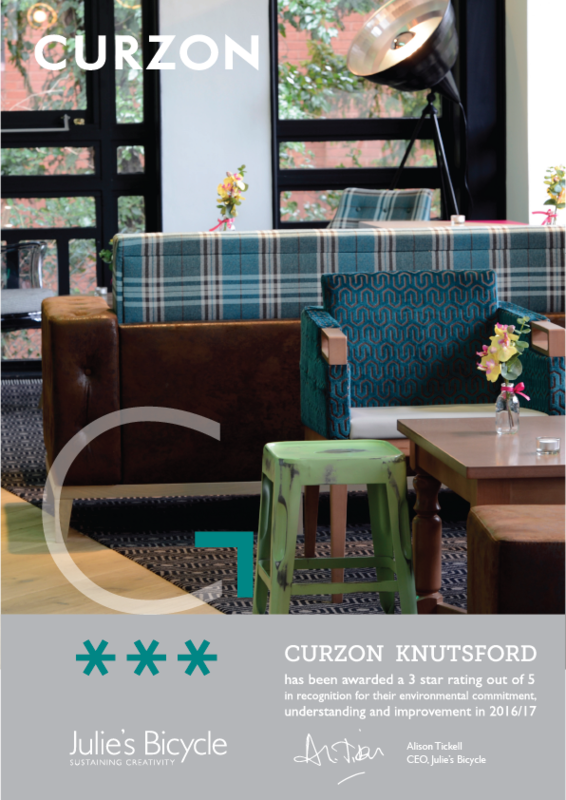 Below are the Curzon venues that currently hold a Creative Green certification and rating.